On mothers and daughters and BFFs. Blog marathon post 6. My daughter is at an age which is wonderful. (She will be eleven soon). She is at a stage where she is not a baby anymore and does not need her mother all the time. Yet she is not old enough to not need me at all. That feels good, actually. She is my hair stylist and fashion consultant. These days we go out together,just she and me--Girlie time. We really have a ball. We check out clothes, shoes and people. We joke and laugh. I love her chuckles, her little snippets of wise observation, her crystal clear logic and her fantastic sense of humour. I see a lot of myself in her, yet she is so different from me. She loves her art, just like me, and this is a picture she recently made. Her individuality and style is so darn different from mine, and yet I see in her that same angst I felt as a child, when a picture I created did not match up to the expectations inside my head. Her BEEEEEEESSST friend is Nikita. The other day she came upto me and said she wants to gift Nikita something really unique, something that "you do not get anywhere, even if you pay a million rupees." We put our head together and finally decided to create a fridge magnet. My daughter wanted roses on it. "Maaa Nikita will looooooove the roses," she said with great joy and longing, her eyes shining at the prospect of making something so beautiful for her best friend. We tried many times, to make roses out of polymer clay. We made beautiful roses but when we tried to stick them on the base, they went out of shape. We tried many times but were unsuccessful each time. My daughter's face fell. I tried suggesting that we could make something else instead of a rose. But no, said my daughter. Roses it had to be and nothing else. Of course, I could not disappoint her. So I quilled a paper rose. And then added some satin ones as well. She wanted to write 'Purvi Nikita BFF' (best friends forever) on the magnet. When my daughter went for her shower, I quickly created this little magnet. And I made a little bag to put it in and gift it to her friend. When she saw it she let out a ear-shattering scream in pure delight. She was overjoyed. "Ooooh mummy, you are the BESTEST mom in the world," she said and hugged me real tight. Her friend Nikita was over the moon, to receive such a gift. If only my daughter knew--I would make a million more magnets for her. LOVE your hand made stuff. Can imagine how happy Purvi must have been. Had an amazing conversation with Mum today. Like we once discussed, nothing leaves us feeling better than talking to (or connecting in any way with) mothers. Hats off for the marathon. You're doing great! awwwwwwwwwwwwww! LOVED IT! BFF - I feel that way about my kiddo too, even though she is sooooo little! She brought me my shoes to wear to work two days in a row and put it right at my feet in the living room - it moved mountains within me! Wow, what a nice surprise you made for her! Really sweet!! God bless u guys. Plz plz treasure and cherish the bond u guys share. Its a blessing. Its not something or rather not a blessing that all girls get . what makes you BESTEST is the way you make someone feel. HUGS to both of you...!!!! Loved the magnet and painting of your dd...Absolutely wonderful.. Your celebrations deserve the pulsating expressions, and your floral gifts surely add a zest to that. Floral gifts, you name any occasions, are just the icing on the cakes! It’s the gift rock that FlowersToUSA.24x7.com is roaring, and watch out www.flowerstousa24x7.com for more. Loved the painting and the roses (for someone who is a zero in art and craft, they're mindblowing) but what really amazed me was the bag! How did you make the bag? It is so cool...and so professional-looking, you know what I mean? 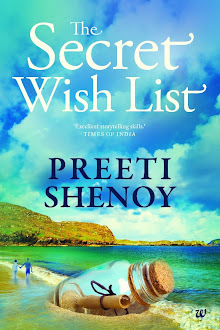 Preeti , I am enjoying every post of this blog marathon and wish it can continue forever. This post is really special for capturing the tender moments in a mother daughter relationship. You have a gift :). I loved the thought ---"I see a lot of myself in her, yet she is so different from me." I am expecting right now and reading this post made me want a baby girl :). Hey Preeti, this is Sumita. First time in your blog and loved it. I too have a daughter (1.5yrs now) and reading ur post, I cant wait for her to grow to do all those girlie-stuff. That was so lovely. The pic, the magnet and the post. The Post is superb.. The gift u made for ur daughter's BFF is too good :) Me and my mom are similar to u and ur daughter..
A big thanks to all of you who left me a comment. Unable to reply individually because of blog marathon and some book events. Aww.....Thats all that I can say.. I can so relate to this post, though in a different manner. Mom's my BFF too... we chuckle, tease, laugh at others and at each other, scold, fight and even have cold wars.... and still I know she's gonna be there for me. One of these days, my daughter's gonna be my BFF too. m waiting for the day! 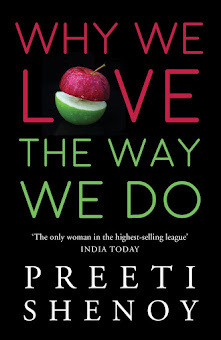 Hi Preeti, I totally admire and love your amazing creativity! Its just awesome! I wish I had friends whose moms could make me such beautiful works of art. You should seriously consider launching a creative brand label of your own with some well known retailer. You'd do great things, I am sure. Keep posting more often! Am loving this! Purvi's drawing is beautiful!!!! Post her art more often, they are a treat to see:-)).